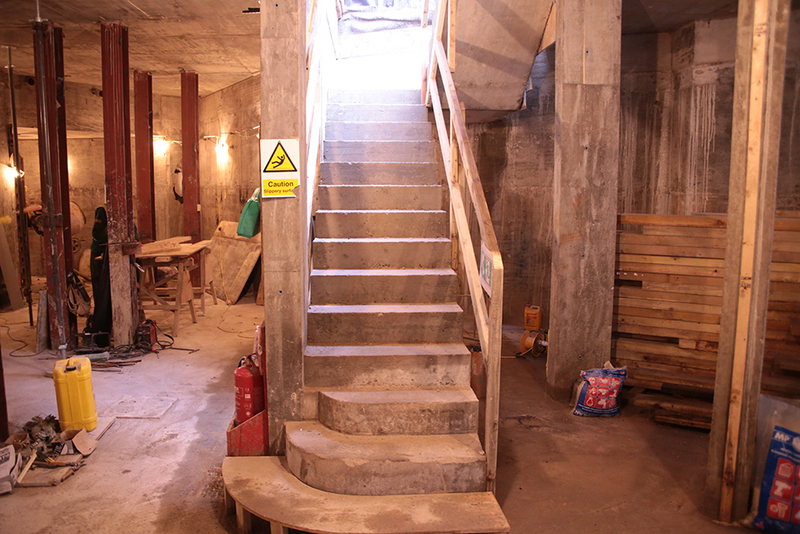 Phase 1 of our basement works in Battersea is now complete. 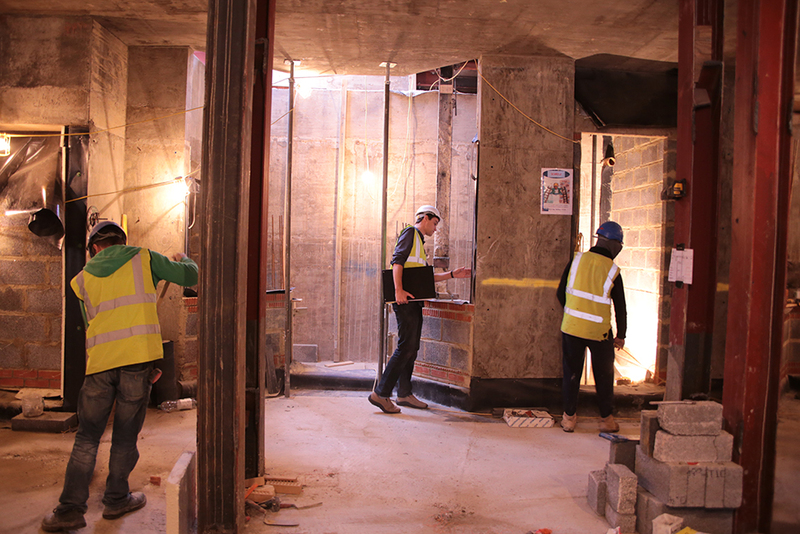 We recently visited and photographed our Prince of Wales project in Battersea, South London, to inspect the completion of phase 1 of this 2.5 year project – the basement works including the structural shell of the new basement floor. 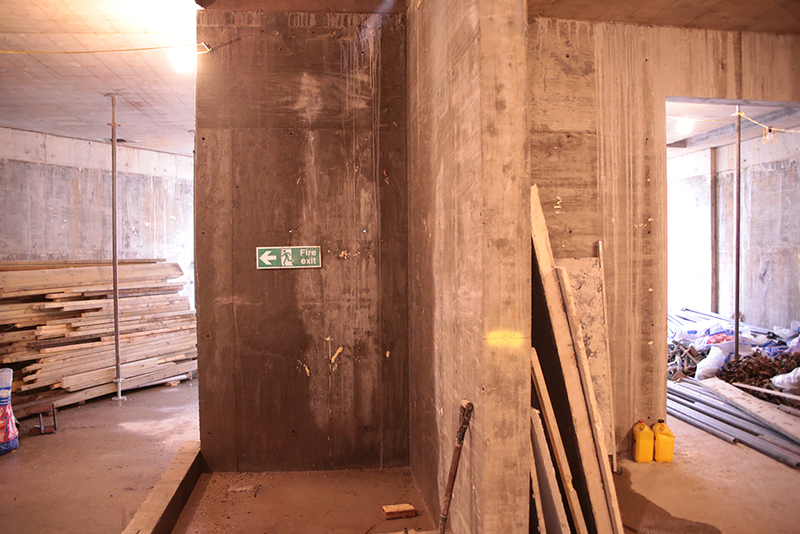 This immense concrete box has been formed under the existing house and garden, with a combination of piling, sophisticated temporary works to prop the existing house, new in situ cast concrete works and sections of underpinning. 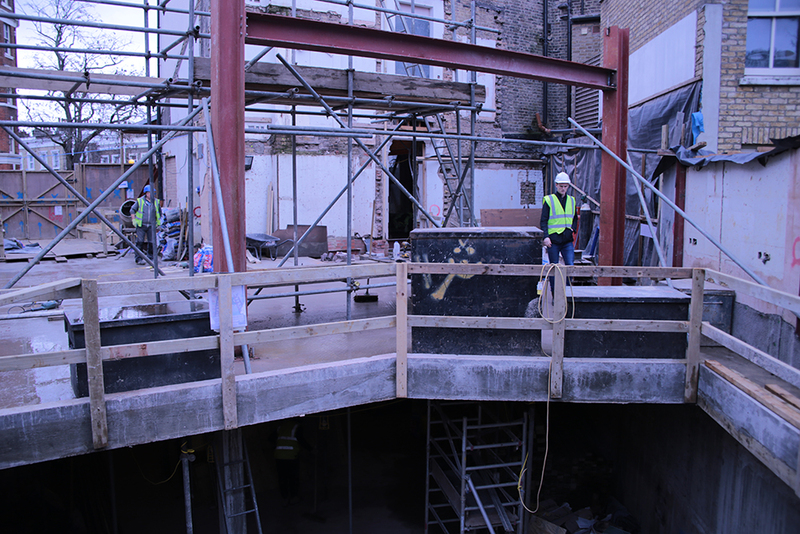 The new basement will be the centre piece of the refurbishment and enlargement of this family home, incorporating a kitchen, dining and living space as well as service accommodation- opening onto a rear courtyard garden. Works have now moved into phase 2, the fit out of the basement, the existing house and extension to the house at ground level. For news and updates on our other projects, please follow our news here.